This is the replica of the Loramie Trading Post constructed in downtown Fort Loramie. Editor’s note: in conjunction with the 200th celebration of the establishment of Shelby County, the Sidney Daily News will be publishing a year long series about the county’s history. FORT LORAMIE — The land we now know as Shelby County was a vast wilderness after the last of the early Indians moved from the area perhaps around 1,000 A.D. There was no Woodland Indian activity until about 1600. Ohio Indian activity at that time consisted of settlements around Lake Erie. The Miami Indians were the dominant tribe. The first and most important Indian trail through our county started south of present day Toledo and followed the Maumee and St. Marys River, then crossed a six mile portage to the Loramie Creek. The trail followed the creek to the Great Miami River toward the town of Pickawillany, near present day Piqua. Both the English and French governments had agents and traders in Ohio hoping to secure this land for their country. Most Indians preferred the French. The French and Indians formed numerous beneficial alliances. French traders normally preferred the canoe to foot or horse and were able to reach nearly all the Indian towns which usually lay upon streams. The waterways back then were wider, deeper and navigable by canoe and flatboat almost to the source. Streams carried much more water before the forests were cut away and the land ‘improved’ by farming. Pierre Louis de Lorimier, anglicized to Peter Loramie, came to the Ohio Country in 1769 as one of its earliest European settlers in this area. He was formerly a citizen of France who lived in Canada. Loramie became an English citizen after the Treaty of Paris in 1763. The English defeated the French in the French and Indian War. As a result, France relinquished all of its lands in North America to the English. Its citizens now became English. Loramie’s exact reasons for coming to the Ohio Country are unclear. He was either a fur trader, Jesuit missionary or both. Loramie was a great friend of the Indians. The first settlement in Shelby County, Ohio, was a trading post established in 1769 by Peter Loramie. It was located approximately one-half mile north of the present town of Fort Loramie, on state Route 66. The Fort Loramie Business Men’s Association and American Legion installed a marker near the site that can still be seen today. Loramie married his first wife, Charlotte Permanpiah, in 1783. She was a Shawnee woman. They had eight children. After her death, he married Maria Berthiaume, whom he met after he moved from the Ohio Country. Loramie supported them in their struggle against the white man, supplying them with guns and ammunition. His store became a meeting point for Indian war parties. They assembled there before moving to attack settlers in Kentucky. In February 1778, Loramie and another Frenchman, along with Chief Blackfish of the Shawnee, led a raid on Boonesborough, Kentucky, which resulted in capturing Kentucky frontiersman Daniel Boone. They brought him to old Chilicothe on the Little Miami River, where they held him captive for some time. Boone escaped in June 1778, and returned to Boonesborough. Because of this and other Indian activity, the trading post was believed to pose a threat to Kentucky. The Kentuckians sent an army, led by Gen. George Rogers Clark, who attacked the Loramie trading post in 1782. The store was burned to the ground. The site remained abandoned until 1795, when Anthony Wayne ordered the American military to construct a blockhouse with additional buildings used for storage. He named the site Fort Loramie, During the American Revolution, American Indians loyal to the British used Loramie’s Store as a staging area for attacks against the Americans. The fort was occupied as a military establishment until 1812 when it was abandoned as a garrison. Eventually a store was built on the site by the Furrow family who operated it as a trading post and post office. 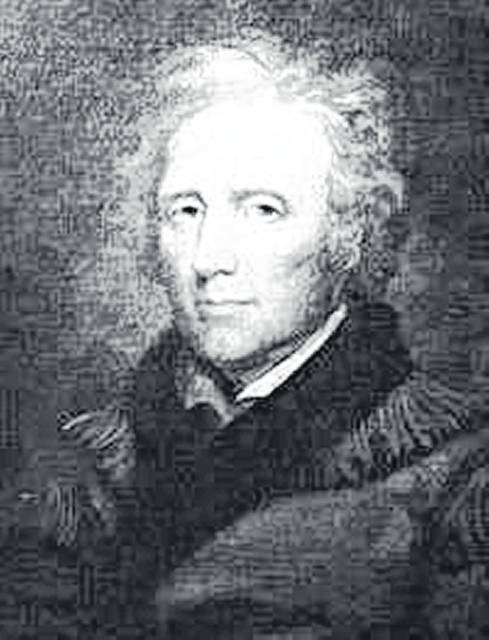 After the War of 1812, settlement began in the Fort Loramie area, and a town was laid out and surveyed by Jonathan Counts. Lots were sold at auction, and the name Berlin was given to the town. Peter Loramie was able to escape from Ohio with his family, some French traders and a band of Shawnees. He wandered in Indiana for a few years, looking for a home. Loramie later moved to Missouri with a band of Shawnees in 1787. He founded the city and the county of Cape Giradeau. Loramie became an established trader and community leader. He met with Meriweather Lewis of the Lewis and Clark expedition in 1803. Lewis’ personal notes contain a favorable reference to one of Loramie’s daughters. Peter Loramie died in 1812 at the age of 64. 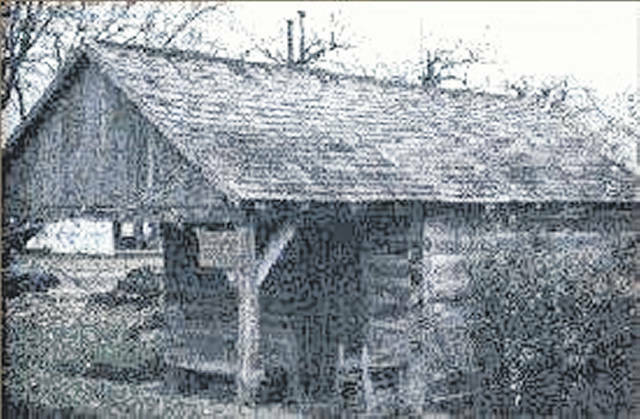 There is a replica of the Fort Loramie trading post building in a park area in downtown Fort Loramie. The writer is a local attorney and partner with the firm of Elsass, Wallace, Evans and Co. LPA in Sidney. He has authored two books and numerous articles on local history. He has been an officer of the Shelby County Historical Society since its reorganization in 1993. He is also on the Bicentennial Committee for the county and city bicentennial celebrations.